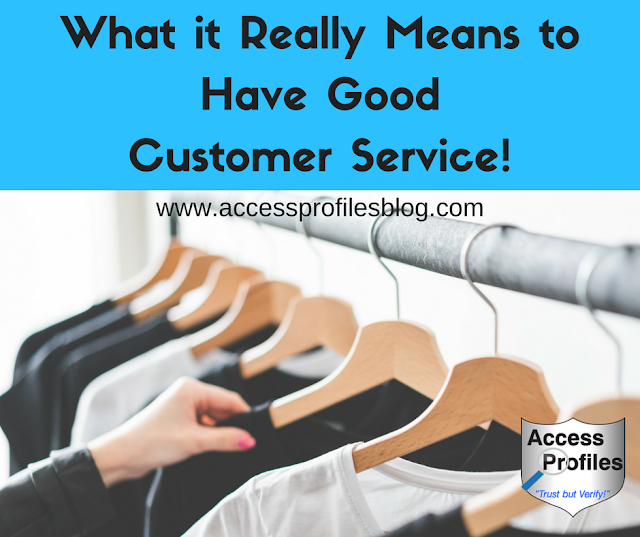 Access Profiles, Inc.: What it Really Means to Have Good Customer Service! What it Really Means to Have Good Customer Service! 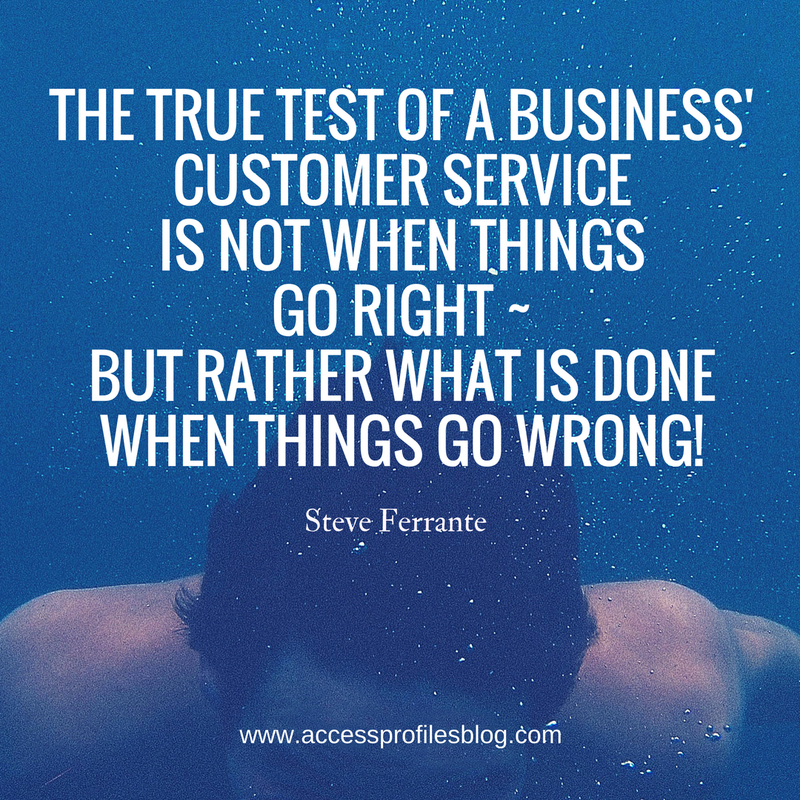 Do You Know what it Really Means to Have Good Customer Service? Recently, a long time client called with an unusual request. 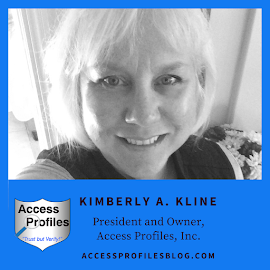 He was pursuing a new account and needed a write-up of the criteria API uses in our background checks to present at their meeting ~ and he needed it in 10 minutes! Needless to say, he sounded nervous that we wouldn’t be able to do it in time and he might lose the chance to land their business. After giving him a quick reassurance, we dropped what we were doing and focused on getting our client what he needed. Within minutes our client had the document in hand and was on his way. Later that day we got another call from him, this time thanking us over and over again for our prompt service and letting us know he landed this much needed new business! It is this attention to our client’s needs that has been the backbone of our customer service policy since the beginning. Our focus is, and will always be, on what API can do to not only land clients, but to keep them for the long haul. And it all begins with Customer Service that is focused on their needs, not on ours! At API, we are proud to say that many of our clients have been with us from the beginning ~ and we started our business in 1996! We have worked with them through their “down times”, been flexible with their cash-flow problems, and even been there when they were faced with rush jobs ~ often times even when on vacation or after-hours. And they have stuck with us when we have experienced the same. We share a Reciprocal Loyalty that comes from a place of understanding and shared experiences. Find out more about how you can foster Reciprocal Loyalty in “Why You Need to Convert the ‘Fair Weather’ Fan!”. The bottom line is that our clients recognize that we are dedicated to delivering customer service that is beyond that of our competitors. We consistently go the extra mile to meet their needs and show that we value their business. 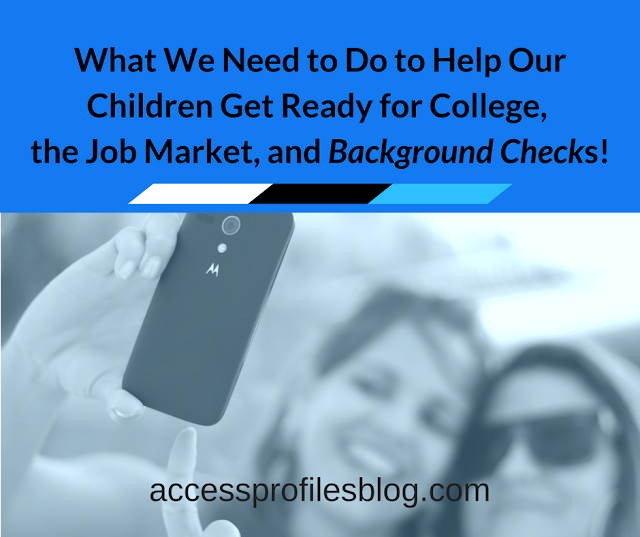 Responding quickly to their most pressing problems also helps keep our relationship thriving. This feeling is what builds the loyalty we need to keep our clients happy. It is this long-term dedication that is the foundation of what it really means to have Good Customer Service! Discover what API can do for you and your business! Check out our Background Investigation & Applicant Services, Business Mentoring, and Security Consulting services. Learn more About Us and get answers to your FAQ too!